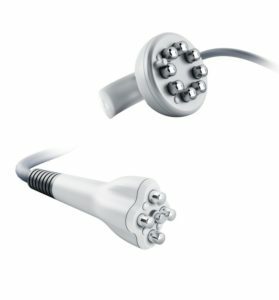 Venus Viva™ features the DiamondPolar™ applicator for non-invasive neck treatment. 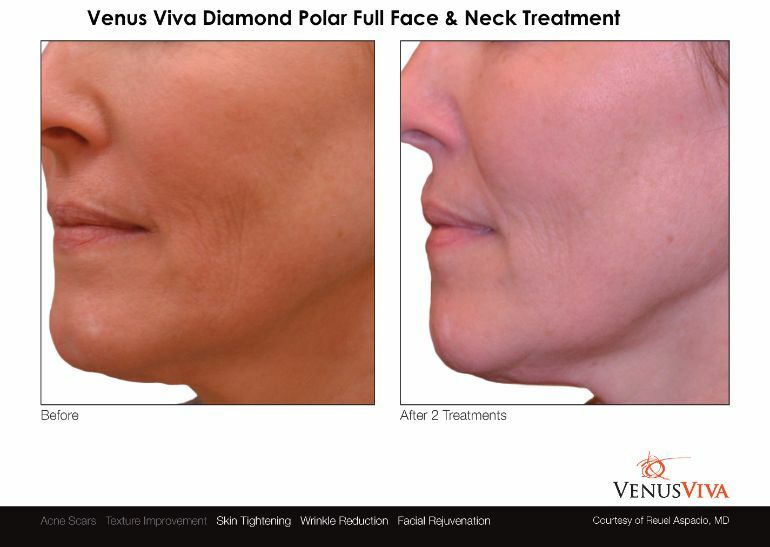 Venus Diamond Polar Neck Treatment is a fast, non-invasive treatment that is very effective in helping to tighten the skin and to reduce the appearance of saggy skin and wrinkle lines. Venus Diamond Polar™ uses Pulsed Electro Magnetic Fields and Radio frequency that help stimulate new collagen generation and elastin fibers, which give you the added benefits of better oxygen, nutrients, and blood to the skin, giving it an immediate, long-lasting glow. This is a fast and relaxing treatment, and can be done weekly. 1. What is Venus Diamond Polar?